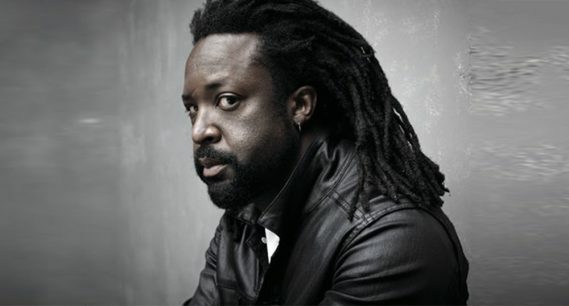 Marlon James has earned comparisons to everyone from Bolaño to Balzac, DeLillo to Tarantino. Readers around the world marvel at how his fiction manages to be both epic in scale and yet “also brilliant at intimate portraits of characters” (Oprah); “panoramic yet meticulously detailed” (Chicago Tribune), whose prose is as unrelentingly violent as it is poetic and empathetic. When Marlon first announced that he was writing BLACK LEOPARD, RED WOLF (Riverhead, $30) —a stunning, genre-defying series called the Dark Star Trilogy where African myth, fantasy and history come together—readers couldn’t contain their excitement. We are thrilled to report that the wait is over: Marlon James is coming to Books & Books in Coral Gables on February 9 to discuss the first of three astonishing novels! BLACK LEOPARD, RED WOLF is a novel unlike anything that’s come before it. Told in his “deliriously lyrical” (Minneapolis Star-Tribune) prose and full of an unusual cast of characters—including a shape-shifting man-animal, a monstrous eater of human flesh, witches, roof-walkers, murderous hyenas, hyena avengers, trolls, mermaids and conjoined twins—James has created a world so terrifyingly and tantalizingly alive, you won’t ever want to leave it. The success of the film Black Panther has demonstrated the enormous appetite nationwide for greater diversity in genre entertainment and in the fantasy community. Needless to say, this captivating adventure tale inspired from African folklore and populated with characters woefully underrepresented in fantasy arrives at the perfect moment. We are truly ecstatic for you to transport yourself into this strange and wonderful world, and to experience a work that will profoundly shape and enrich popular culture as we know it. Purchase your tickets today. They will go fast for this event! Tickets are $30, for two (2) people and include a copy of the book. Marlon will sign books after his talk.